Carmen Maura is a giant of Spanish cinema, a woman who has won numerous international awards for her work. Once the celebrated host of a Spanish television show, El Noche, and cabaret artist, Carmen Maura's star as a queen of cinema rose with that of Pedro Almodóvar. Maura began her film career in 1970, turning in great performances in films such as The Man in Hiding (1970); Fernando Colomo's Paper Tigers (1977); and Carlos Saura's 1978 film Blindfolded Eyes. 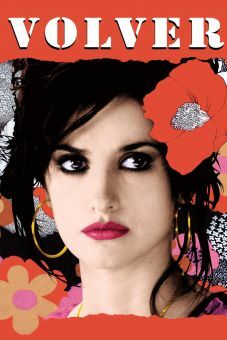 The actress appeared in Almodóvar's very first film, Pepi, Luci, Bom, in 1980. Their collaboration lasted through seven films, including What Have I Done to Deserve This? and Dark Habits, both made in 1984, and The Law of Desire (1986). In the process, Maura showed the range of her abilities, as she portrayed the unusual characters that Almodóvar favors, such as a lesbian nun and a transsexual actress involved in a love triangle with her brother, played by Antonio Banderas. 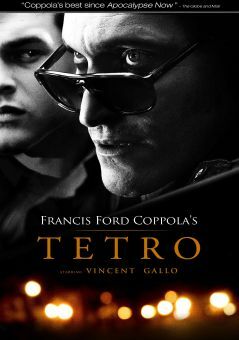 The two worked again in an Almodóvar vehicle that was destined to catapult them all to international stardom. 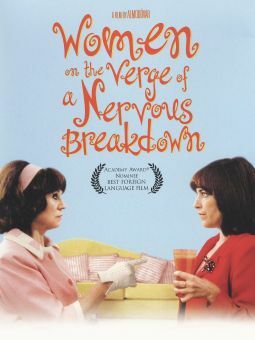 Women on the Verge of a Nervous Breakdown was released in 1988. The film won numerous awards, launched Banderos' career in America, and led Carmen Maura to the winners' circle for the European Film Award for Best Actress. Her starring role as Pepa contains all the classic elements of an Almodóvar film. She is a strong and capable woman, in distress at her lover's impersonal bet, as he breaks up with her via a note and her answering machine. Her current condition of pregnancy makes his sudden departure all the more upsetting. As she teeters on the brink of insanity, her world is invaded by others vying for her time and attention at a most inopportune time: she is preparing to take her own life. Maura's gifts for comedy and pathos are evident in the hilarious scene in her apartment in which she tends to the needs of others, notably played by Banderos, Rossy de Palma, and Maria Barranco, while coming to terms with her own predicament. Almodóvar, always the admirer of the strength of women, has Pepa discovering that very fact for herself. By giving her compassion generously to others, she saves herself and is ready to face life once more. 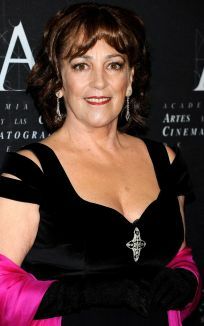 Maura won the European Film Festival Best Actress award again in 1990 for her title role in Saura's Ay, Carmela!, with her riveting performance as an entertainer during the Spanish Civil War. Among her noteworthy contributions to cinema in the '90s were her characterizations in Happiness Is in the Field, directed by Etienne Chatiliez, in 1995; Téchiné's Alice and Martin (1998); and Common Wealth (2000), the latest film from Alex de la Eglesia. The luminous Carmen Maura is still going strong in the 21st century, having completed work in Eva Lesmes' The Hold-Up in 2001. Viene de la aristocrática dinastía Maura, familia de grandes políticos, abogados, escritores y artistas. Es sobrina bisnieta de Antonio Maura, 5 veces Presidente del Consejo de Ministros de España, del poeta Gabriel Maura y del pintor Francisco Maura. Su bisabuelo, Bartolomé Maura, fue uno de los mejores grabadores de su época. Su madre es nieta de los condes de Fuente Nueva de Arenzana. En su niñez, tenía por vecinos al escritor Edgar Neville y a la actriz Conchita Montes. Trabajó como traductora de francés. Dirigió una galería de arte. Conoció a Pedro Almodóvar cuando éste comenzaba y se convirtió en su primera musa protagonizando sus primeras películas. Declaró en el 2012 que no volvería a trabajar con Almodóvar porque "sus rodajes son tensos". Algunas de sus actuaciones más destacadas incluyen títulos como Mujeres al borde de un ataque de nervios (1988), ¡Ay, Carmela! (1990), La comunidad (2000), Volver (2006) o Las brujas de Zugarramurdi (2013). En 2013, recibe el Premio Donostia del Festival Internacional de Cine de San Sebastián por su extensa trayectoria como actriz y, en 2018, se le entrega el premio de Honor de la Academia Europea, a los cuales se suman decenas de premios en festivales internacionales.